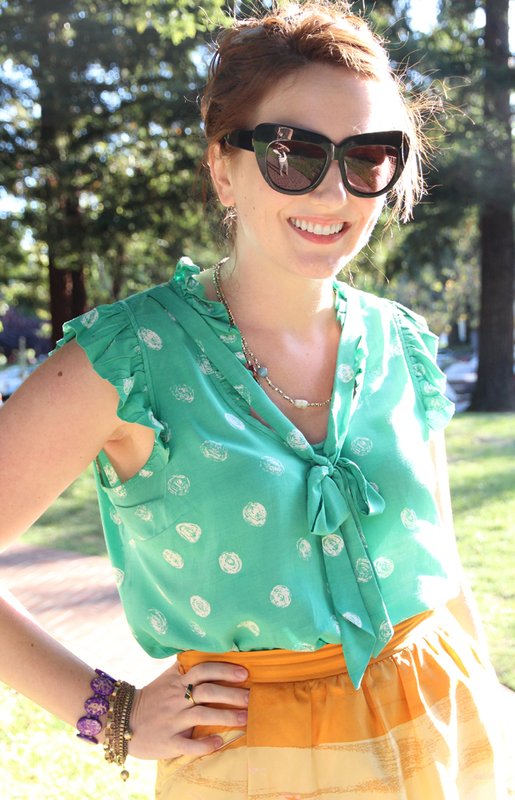 Today I was determined to wear a summery outfit, even though it doesn’t exactly feel like summer in San Francisco. The bright colors and quirky patterns in this outfit make me feel like an elementary school teacher, and I’m quite alright with that. I was eyeing this skirt at Anthropologie for a while and once I realized that the pattern on this skirt was a little school of goldfish, I couldn’t resist (well, that and it went on sale). Now that I’m looking at these pictures… it’s almost like I’m wearing a fishbowl. That top is such a a great color on you and how fun is that skirt?! Love the sunnies, too! 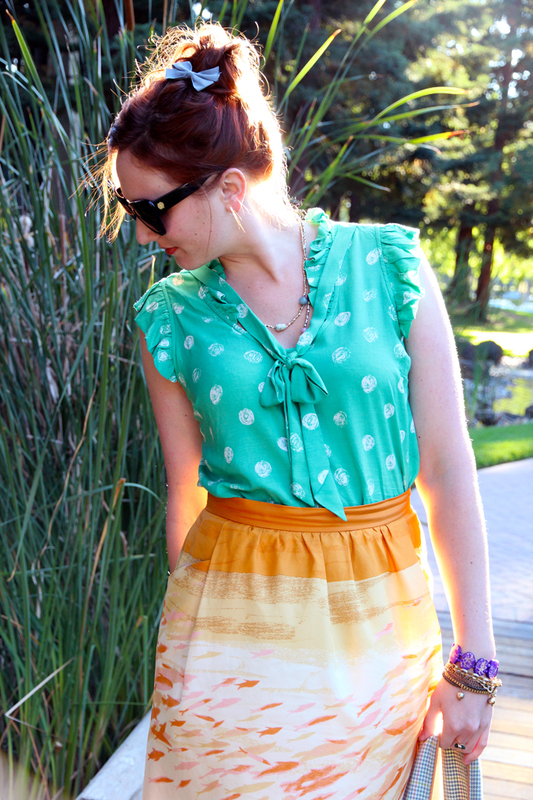 I love the teal with the citrus-y orange in the skirt! So pretty! !